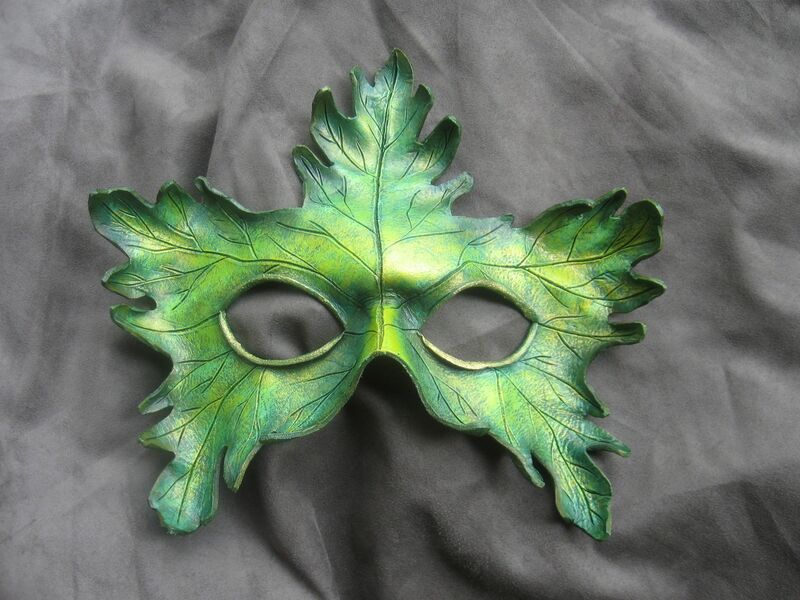 Ok, now I know why everyone does Greenman masks. They’re wicked fun! Both of these masks are available for sale in my Etsy shop, just click the button to the right. A fairly small and simple Greenman (or Greenwoman), with an Oak-leaf type shape, in bright greens with gold shimmer. 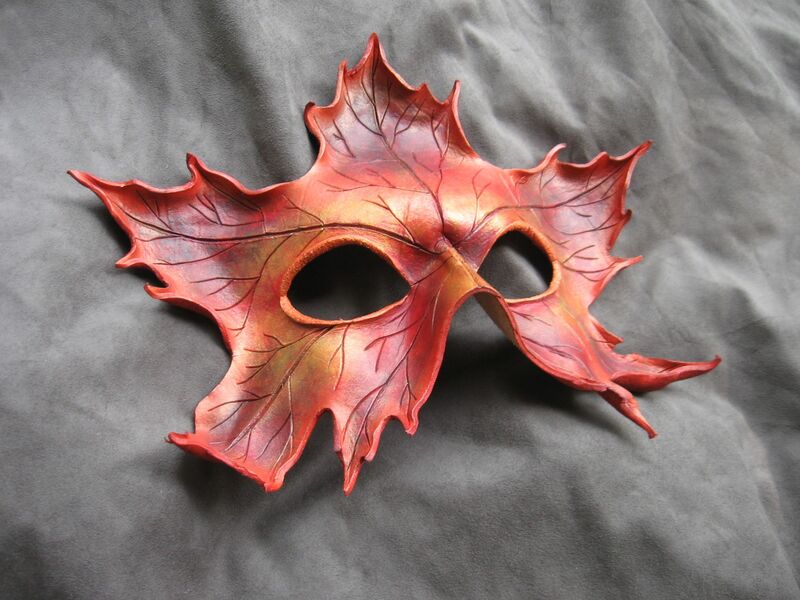 This Greenman is based on the look of a bright red maple leaf in autumn, with deep purple shadows and shimmery rose-gold highlights. Both ready-made and custom masks can be purchased on my Etsy site.